Great stock stem for the masses. narrow bar clamping surface allows for a bit of flex on aggressive trails. This stem appeared to be an average stock stem that comes on pretty much every middle grade bike. This was, until you look at some of the finer details of it. The first thing I noticed was that, however “stock” this stem is, Ibis put some effort into giving the 3D some flavor. That flaver is a simple “Ibis” band around the center of the stem. The best part is that it’s not overpowering like other stock stems which means you can potentially put it on a different bike (manufacturer) and it won’t look hideous. The 3D stem’s bar clamp width is 45mm wide. It is a little narrower than I prefer and was worried that it wouldn’t offer as stiff of a cockpit as I would like. When getting out on the trail, the stem did flex a little more than what I was used to but overall, was pretty ridged. 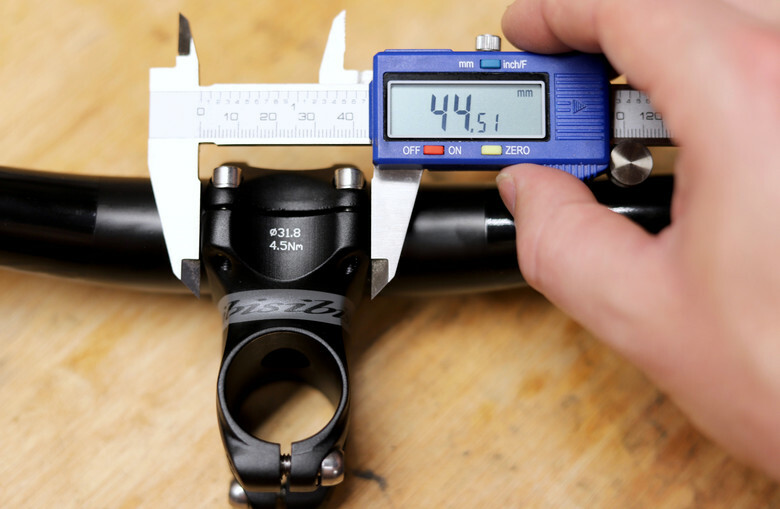 As for weight, the 3D stem at 50mm length comes in at 139 grams, just a little heavier than what Ibis’ website states (135grams) which isn’t bad at all. This weight is definitely reasonable for a good stock stem, no doubt. Lastly, although the stem wasn’t as stiff as I would like it to be (being mounted on an aggressive enduro bike with 800mm bars), I was stocked to see that the stem itself kept my bars straight at all times. A big reason for this is the slightly oversized, slightly less common 5mm bolts that clamp around the steerer tube. Most stems these days come with 4mm bolts which just don’t cut it if you’re a bigger guy who likes to ride aggressive endure and even DH. Coming in at just $45, I really can’t find fault with the Ibis 3D stem. It’s got good looking graphics and shape, descent weight, and keeps the bars straight with those 5mm steerer bolts. The only thing that really made me decide to upgrade from this stem was the slightly narrow 45mm width bar clamp surface. On the roughest of terrain, I felt the bars twist a little more than I would like. That being said, the 3D stem is a great intermediate stem and is at a great price point.